SEO pros agree that if you want to build an exceptional website, you have the need for speed. Remember that a slow loading page can bring negative effects to your SEO and revenue. Site speed could be the deciding factor between business success and failure. People have shorter attention spans than ever before. If your website takes more than 7 seconds to load, or even more than 3 seconds these days, you’re more likely to lose your visitor. Any SEO expert will tell you that slow loading sites often suffer from SEO and usability complications and issues. This is not only because internet users have short patience but also because Google and other search engines rank web pages based on the how fast they load. Think of Google, Bing, and Yahoo. All these search engines have one thing in common-- they are running a business. A search engine that is notable for recording fast results is the most preferred by internet users. For that reason, they get a big chunk of the market share. However, if a search engine is known for irrelevant results, then they lose in terms of market share. And if a search engine takes forever to show results, it loses. People will prefer to work with a name that is quick and fast in serving them. If you want to stand out from competitors, you need to offer what leading search engines offer. If you are unsure how to determine whether or not your website is performing, you can always consult the metrics indicators. Metrics indicators evaluate the number of pages per visit, time spent on a site, click through, and bounce rates. All these help determine the quality of your website’s user experience. 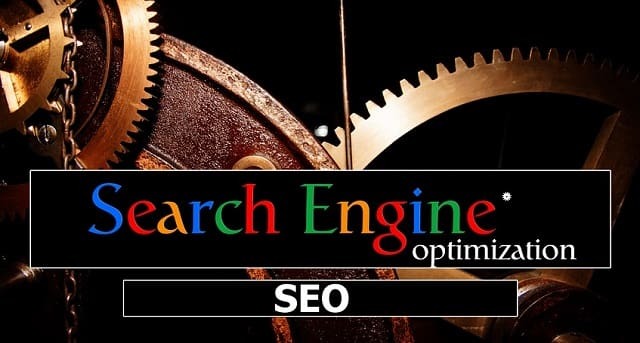 Based on your score, you will be ranked in the Search Engine Results Page (SERP). If more people are clicking on your site, you have a high chance of appearing in the first page of the SERP. This can lead to positive results for your website and business. However, if you have more bounce rate, then your website becomes irrelevant and moves down the rank. You realize that the more time spent for your page to load, the higher the chance that you’ll lose your visitor. As a result, you’ll be losing in terms of traffic and sales. People now have short attention span. If your website takes more than 7 seconds to load, you’re more likely to lose your visitor. Any SEO expert will tell you that slow loading sites often suffer from SEO and usability complications and issues. This is not only because internet users have short patience but also because Google and other search engines rank web pages based on the how fast they load. As a result, you’ll be losing in terms of traffic and sales. SEO gurus have found that if a site has a record sale of $300,000 per day, 1-2 seconds in delay of page loading reflects in an annual loss of between $2.5 to $5 million. Did you also know that customer preference and loyalty can be based on how fast a page loads? It is clear that speed for a site can make or break a business. Page loading speed not only matters to the users but also to the search engines. Search engines do not also want to compromise their crawl budget. It is possible that you will not show on the first pages of the search engines because your site has issues with speed. It is clear that speed for a site can make or break a business. Page loading speed not only matters to the users but also to the search engines. Search engines do not also want to compromise their crawl budget. It is possible that you will not show on the first pages of the search engines because your site has issues with speed. When it comes to search engine optimization you really have the Need For Speed! I hope you enjoyed this article about why site speed is key for SEO strategy.